8. Paddington 2, “Happy Birthday, Aunt Lucy”: When it dawns on Paddington that his Aunt Lucy is just outside the door and everyone he cares about worked to make that possible, it’s love and family encapsulated in one perfect moment. 7. Crazy Rich Asians, “The Wedding”: Step 1, play “Can’t Help Falling In Love.” Step 2, show us people in love. 6. First Reformed, “Ending”: A horrifying, surreal final sequence of events that builds and builds like nothing else this year. 5. Eighth Grade, “Campfire”: Affirms Kayla’s character for who she is and bumps Josh Hamilton’s character into the “Best Dads” conversation. 4. A Star Is Born, “Shallow”: The high point and centerpiece of the film, and a turning point for Ally conveyed perfectly through this whirlwind of a mini music video. 3. Mission Impossible: Fallout, “Helicopter Chase”: I can’t even imagine the choreography, stunt work, editing, and sheer determination that must have gone into this. Just a complete marvel to behold. 2. Hereditary, “The Accident”: I can’t gush enough about how perfectly calibrated this scene is. The decision to have the entire thing essentially play out through Alex Wolff’s facial expressions as his character drowns in guilt is nothing short of masterful. This scene announces that the film is not shocking you just for the sake of it; it’s purposeful and it wants to explore every single implication. 1. 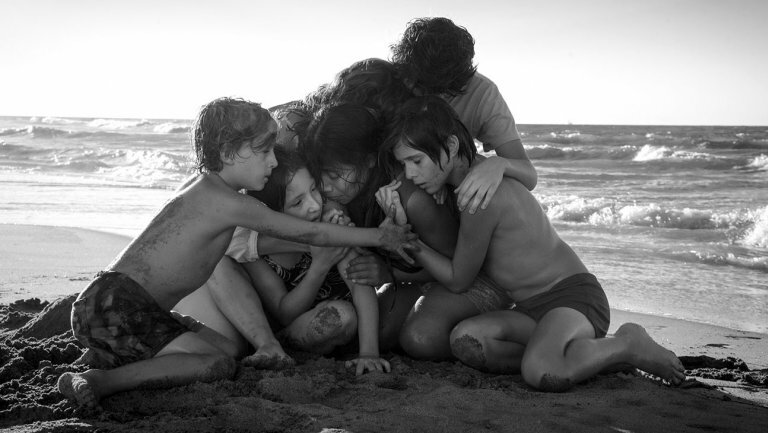 Roma, “The Birth” & “The Beach”: Two scenes that solidify the film as one of this year’s greats. The former is devastating beyond comprehension, and the latter is devastating in its own right, but also a beautiful expression of understanding and love. Powerful on an extremely visceral level, and the scene(s) of the year. bro, totally, totally on board with wolff’s acting during that scene. So many great shots in Isle of Dogs! I love how Wes Anderson pays attention to every frame of his movies!